The area on the west side of JR Akihabara Station is called the Akihabara Electric Town (秋葉原電気街). There are hundreds of stalls and stores which, as a whole, sell a remarkable selection that includes every kind of personal electronic device imaginable. Akihabara is one of largest electronics markets in the world. 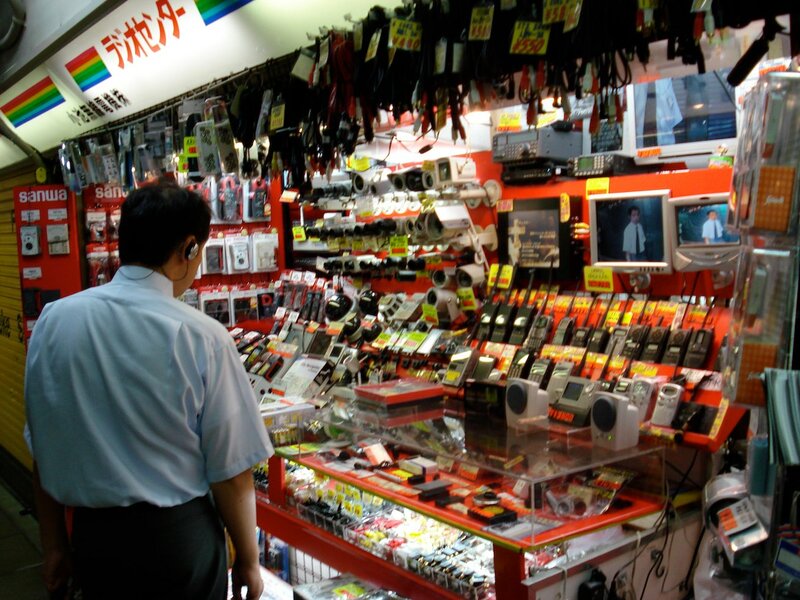 Many larger chains like Ishumaru Denki, Loas, and SofMap have multiple stores that focus on different types of goods. Recently, stores selling video games, manga, anime and related goods have increased in the area. This has been part of Akihabara becoming the center of otaku culture for cosplayers and anime fans. Otaku is a Japanese word that is used to describe anybody with more than a slight obsession with their hobby. Several unique types of stores have opened in the area to cater to (and monetize) this. 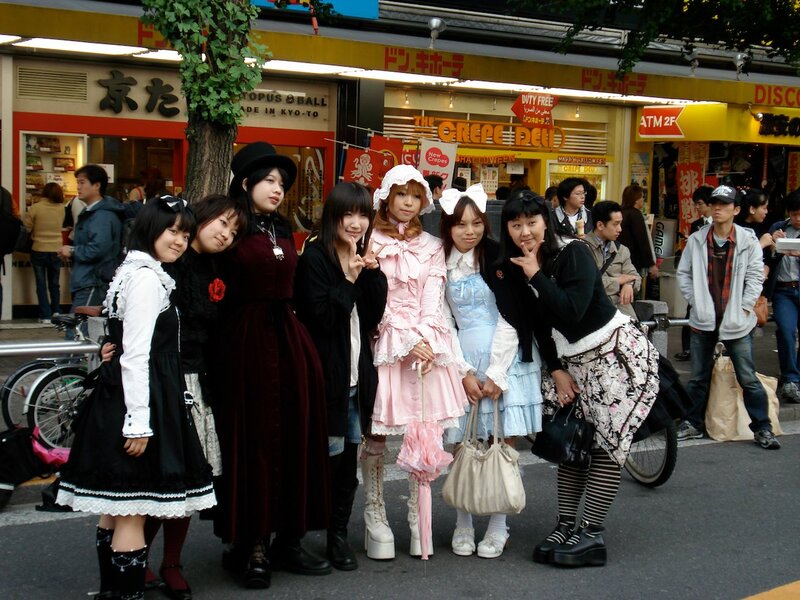 There are numerous maid cafes and cosplay (costume play) cafes in the area. There are also many anime cafes (anime kissatens) where people can sit down and read comics, watch anime and surf the internet. This increase has made Akihabara one of the best places in Tokyo to find anime and video game cosplayers. This major development project consist of two buildings: Akihabara Dai Building and Akihabara UDX. The first building has academic and conference space in its lower floors and business offices in the upper floors. UDX is a stylish building with 4 floors of restaurants, cafes, event halls and exhibition spaces. Business offices are located in the higher floors. 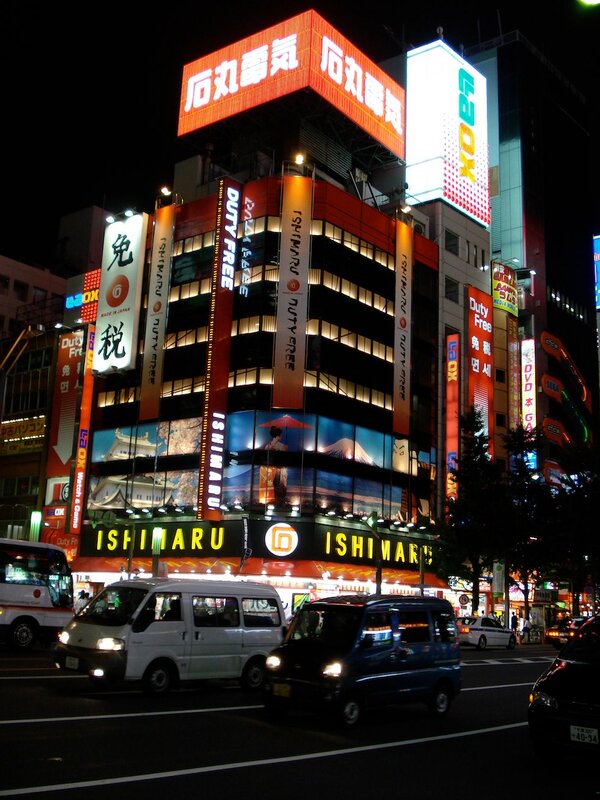 Ishimaru Denki operates ten stores in Akihabara which is nearly half of all their stores. They are now partially owned by the Eiden and DeoDeo. 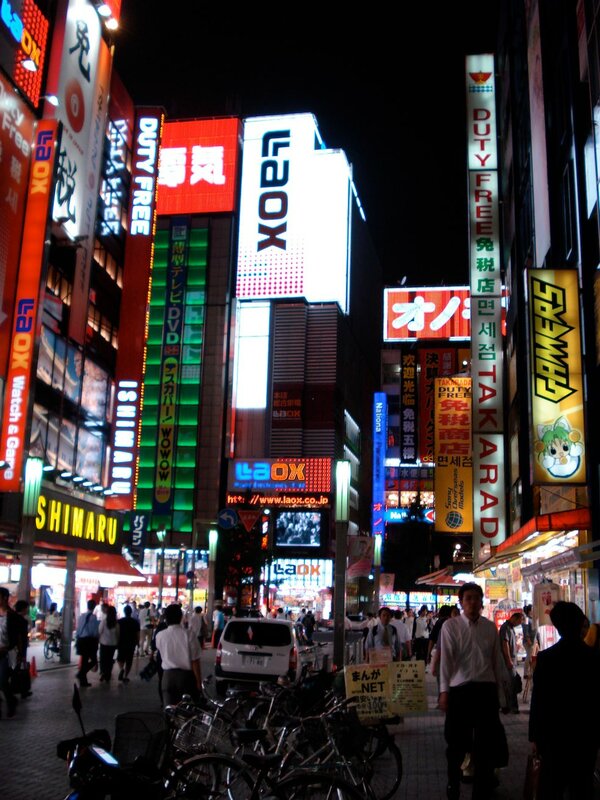 Laox operates eight stores in Akihabara and has the largest duty free store in Akihabara's Electric Town. Sato Musen has five stores in the area. 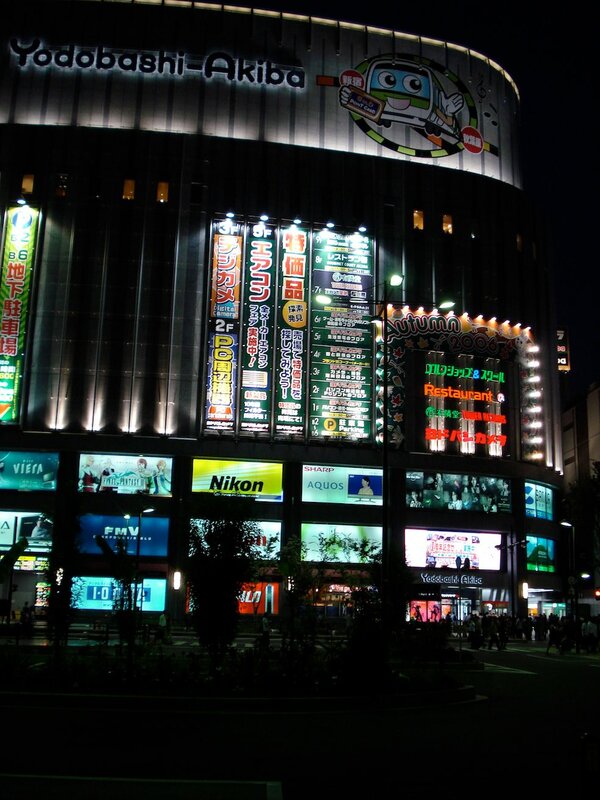 Building one is a large multi-story mall of electronic stores close to Akihabara Station's Denki-cho (Electric Town) exit. Sofmap operates 16 separate stores in Akihabara. It probably wins the award for being the most prolific chain in the Electric Town. Yodobashi Camera bucked the tradition of multiple small stores and opened their huge Akihabara store in September 2005 on the less popular east side. Akihabara can be an exciting place to purchase electronics. It is one of the largest shopping areas of its kind on Earth. Its also convenient for non-residents to shop here. Popular international models of cameras can be found here and it is one of the few places in Japan where you can easily buy English computers and software. Additionally, almost all stores have staff who can speak English and larger stores may have staff on hand who can speak Chinese, Korean and other languages. Be ware that prices for electronics in Japan tend to be quite high when compared to North America. The deals to be found in Akihabara are usually in the smaller specialty shops on non-brand name commodity goods. The bigger chains have decent prices on big ticket items. Some prices (especially international camera models) are set by the manufacturer and are nearly identical everywhere. Electronic goods besides international model cameras and computers found in Akihabara are almost exclusively domestic models. Some goods will have international warranties and some won't. Japan uses the same power plugs (no third prong) and power (120 volts, 60 Hz) as North America. Northern areas in Japan use 50 Hz but there's generally a switch. Many of the stores have duty free shopping for non-residents of Japan. Your passport is required as they will check that you have not been in Japan more than 6 months and do not have a re-entry permit. You must also purchase more than 10,000 yen. Expendable items are excluded from duty free shopping and do not count towards your total purchase. If you are shipping or taking it outside Japan as a gift then you may also be able to get a tax refund. 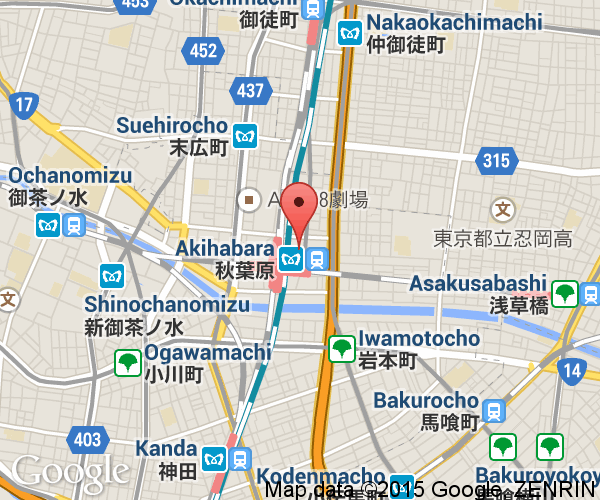 Akihabara is located at an important intersection of JR's rail lines which makes coming and going here very easy. JR Akihabara serves the Tohoku and Yamanote Lines which both run in parallel to north to Ueno and south to Tokyo and Shinagawa Stations. The east-west rail lines run to Shinjuku and to Suidobashi. From Shinjuku, take the orange Chuo Line (rapid service) and transfer at Ochanomizu Station. The local Sobu Line (yellow) continues east to Akihabara. Akihabara is also the terminus of the rapid Tsukuba train which runs from here to Tsukuba Science City in Ibaraki Prefecture. It takes as little as 45 minutes and costs 1190 yen to travel the full distance. The entrance to this station is on the east side (Yobodashi Camera).